Hey everyone! Welcome to another Debut Author Challenge book review! ← Where did July go? #writemotivation and #writemehealthy updates. LOL! @ there had better be a next book. So nice to meet another dragon lover. 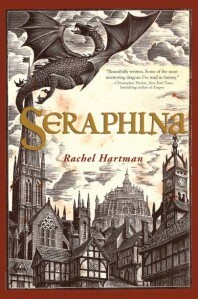 I will have to make sure Seraphina is on my list. I needed a book for my 2012 DAC anyway so this could be it. Thank you.